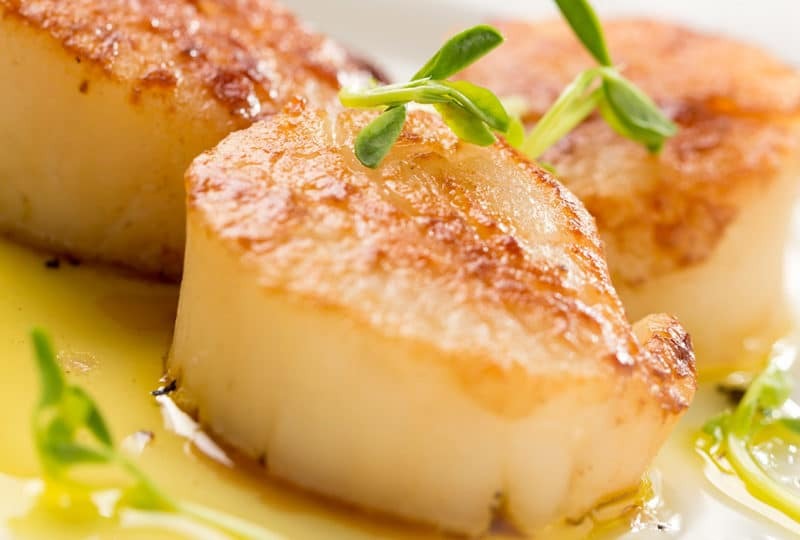 Learn how to cook scallops like a true chef! 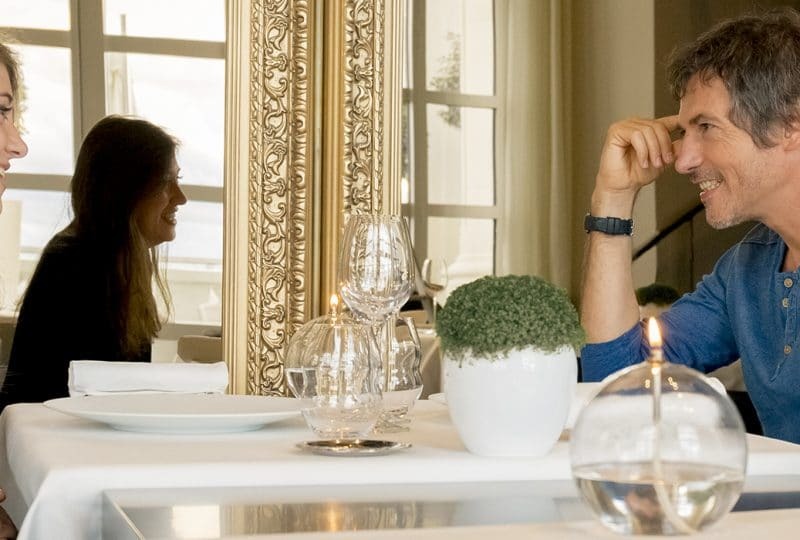 Julien Guérard unveils the secrets of his 'Fast fried scallops with saffron-flavoured coral cream, rich butternut, cream of watercress'. 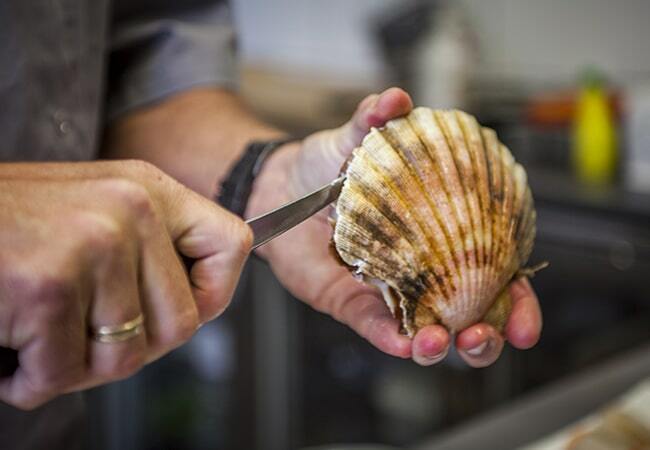 La veille : Open the scallops, clean the fleshy part and place on kitchen paper to chill. Rinse and dry the corals, salt them with coarse salt for 1 hour, then leave them to dehydrate 24 hours at 60°C to form a powder. Cut the butternut into triangles and bake under a sheet of greaseproof paper with a little water, butter and a hint of salt and sugar. Prepare a Bavarois without sugar and flavour it with the coral powder and saffron, leave to set in the refrigerator. Wash the watercress, put some aside and cook the rest in highly salted boiling water for 5 minutes, then plunge into iced water, blend and pass through a cheesecloth. 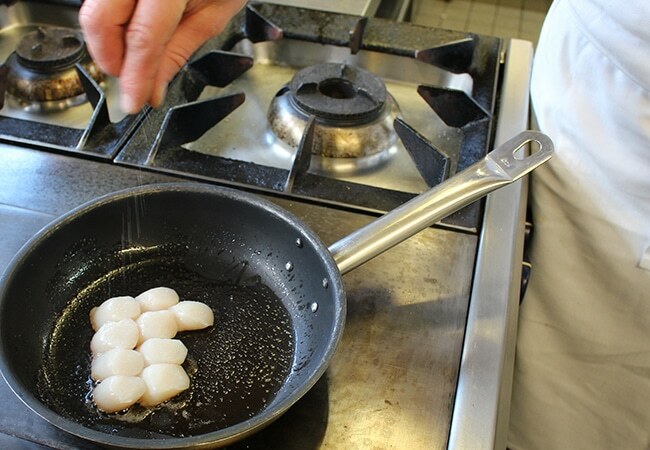 On the day: Heat butter till it browns and quickly fry the scallops, seasoning them with coral powder and pepper. Set aside and fry the butternut triangles in the juices. Simmer the watercress cream, add the browned butter and season. 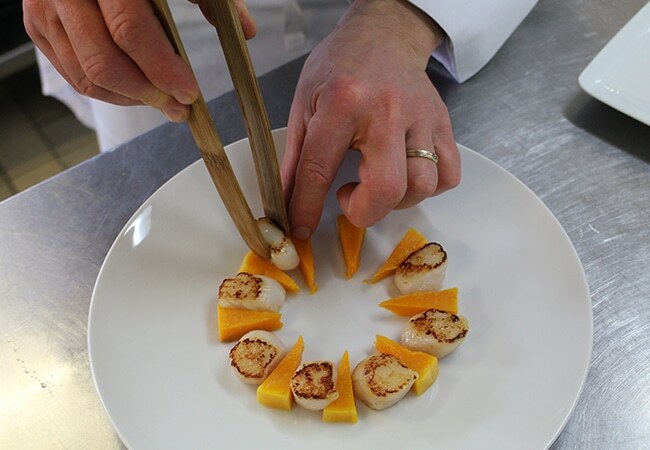 Place the Coral-Saffron cream in the centre with the butternut triangles around at intervals with the scallops. 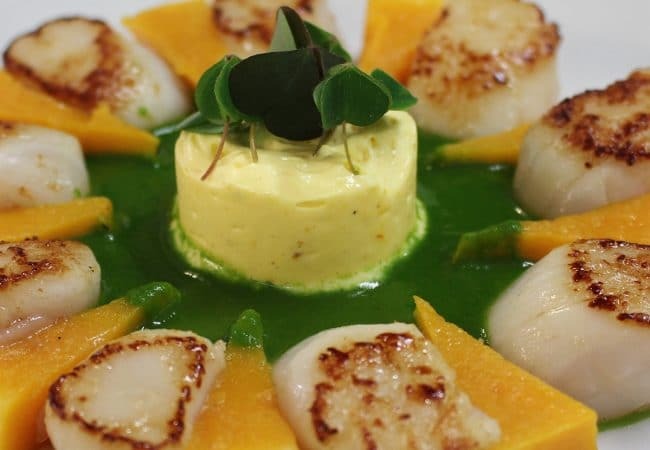 Decorate with the fresh watercress sprouts and serve the watercress cream on the side as a sauce.